TYSKMAGASINEN was Mångfaldens Magasin's second production. It took off at the warehouses history between 1940 and 1944. During these years Sweden was leasing, despite its neutrality, the warehouses to the Nazi regime in Germany who used the warehouses as storage for food and lining material. 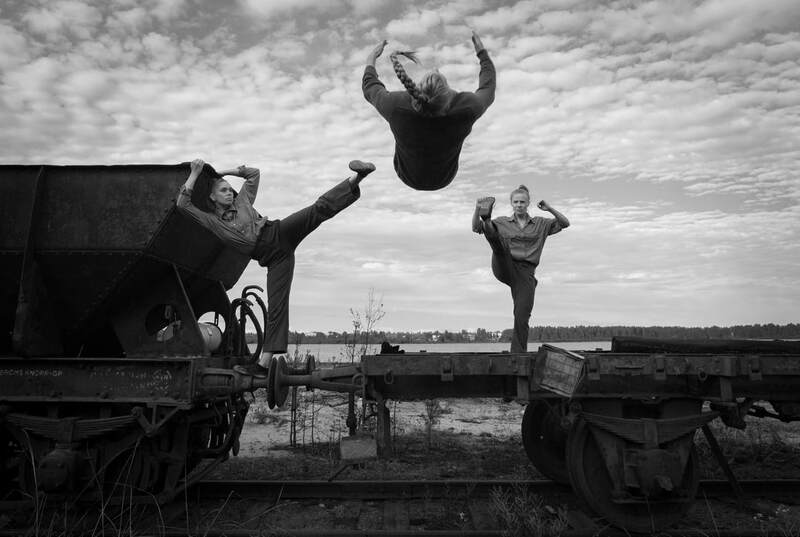 The performance Tyskmagasinen was created through extensive research with a nordic point of view about WW2. We zoomed in on particular human destinies, larger movements and general events of war. We embraced different perspectives and tried amounts of movement material - which finally led to the performance Tyskmagasinen. Dancers Alba Wallsten, Eliisa Erävalo, Emilia Larsson, Felicia Öberg, Gerd-Kaisa Vorren, Liza Pogrebets, Marie Wårell, Mikkel Hobitz Filtenborg, Moa Autio, Sophia Nilsson, Sofie Bergdahl, 6 av dansarna går Svenska balettskolan i Piteå. Music och musician Immunförsvaret a.k.a David Björkén and Oskar Dahlberg. In collaboration with: Norrbottensteatern, Swedish National Ballet school in Piteå, Exiled dance Crew, HS Copy, BD Pop and Byggutrustning Luleå AB.